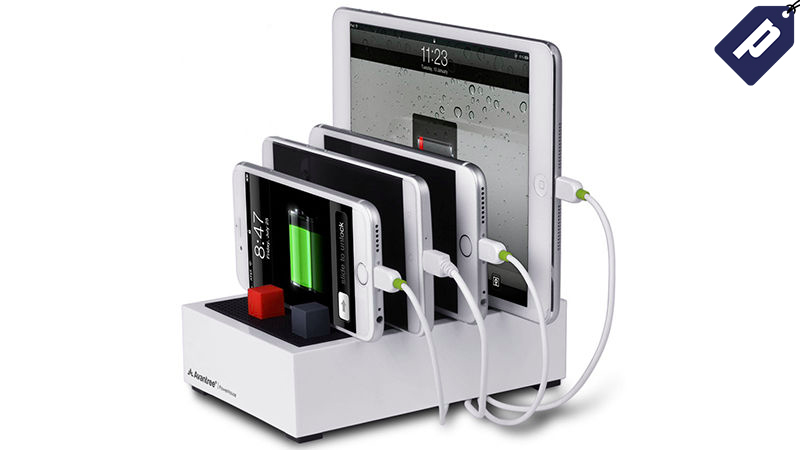 The PowerHouse USB Charging Station by Avantree is a Red Dot Design Award Winner for a good reason - it’s a compact docking station that charges up to 4 devices at lightning speeds. It’s normally $50, but Gizmodo readers can get one today for just $35.99 + free shipping. The PowerHouse is the perfect way to save space and organize your desk - you just need one outlet to charge all your devices simultaneously. It’s available in white or black, comes with an AC adapter and 2 micro-USB cables, and for a limited time comes with free shipping. Hit the link below and grab yours before they sell out!